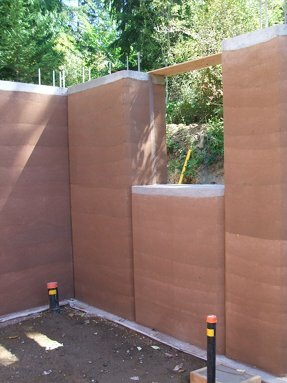 The Valley Song House uses a very beautiful dark brown for the walls with the intent to have a nice contrast to the white plaster that will be used on the interior roof. The house is nestled into the north bank on a south facing slope. 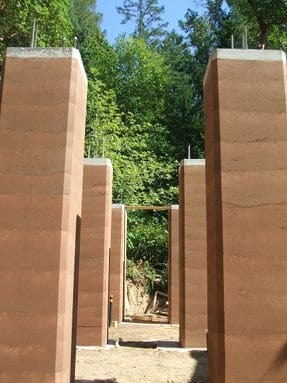 The North walls will be buried 6-7′ deep. 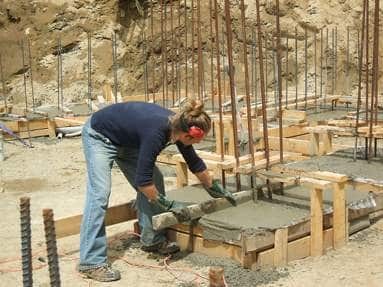 Yes, you can bury stabilized rammed earth because it is just that strong and durable! 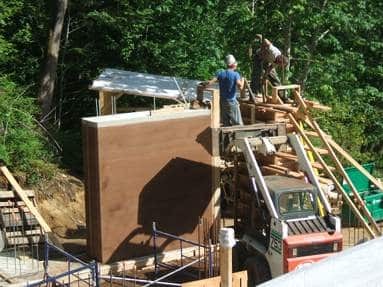 Ramming is underway on the second wall. 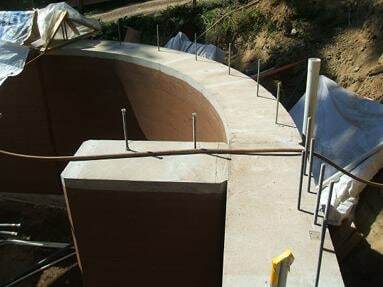 The inside section of the curved wall form is done. 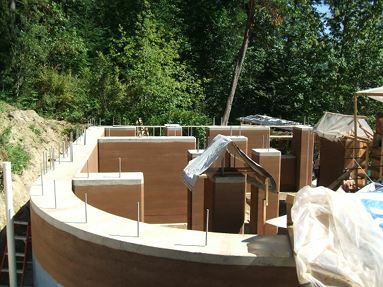 We are now making the curved rammed earth wall on the north east of the house. 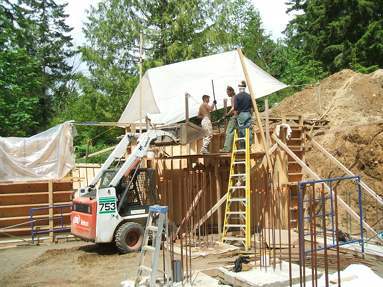 A stairway will curve up this rammed earth wall to the second story. A utility room will be underneath the stairs. 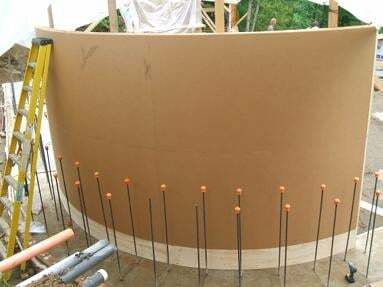 Top view of the curved wall. Window in the downstairs washroom. 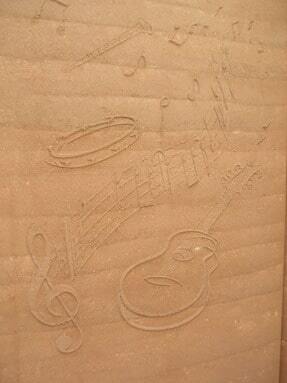 A signature wall with musical impressions for a special touch. 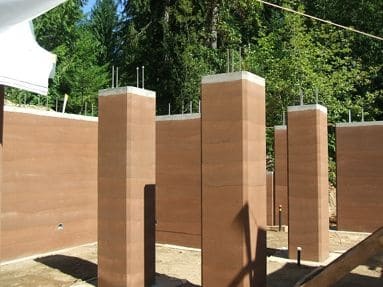 Lovely rammed earth pillars and the office walls in the background. The stunning effect of the pillars in the the hallway. An electrical outlet for a wall sconce in the washroom. 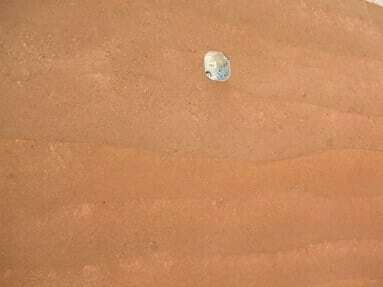 A top view of the walls. 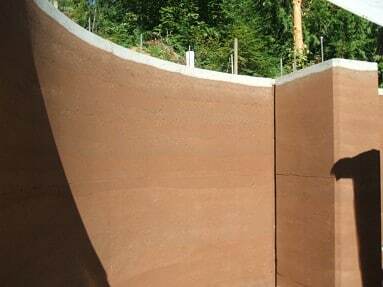 The pictures don’t do these rammed earth walls justice, they are quite magnificent and even better in real life. 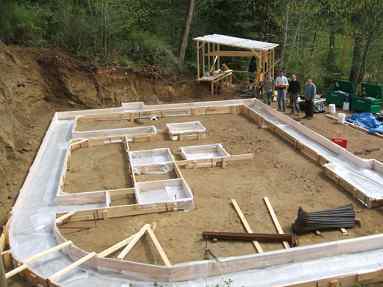 It was a very busy year and it started with the design of this house and the commencement of construction in the spring. 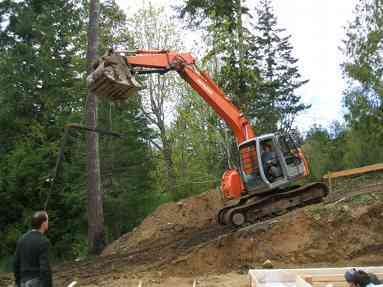 Hauling rebar with the excavator is so much nicer that moving it by hand. 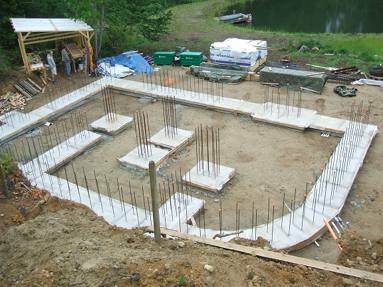 We used a fabric membrane with our footing to prevent water from wicking up into the footing in the future. It also has the benefit of keeping our forming wood clean so it can be reused and have less waste. A closeup of the membrane. 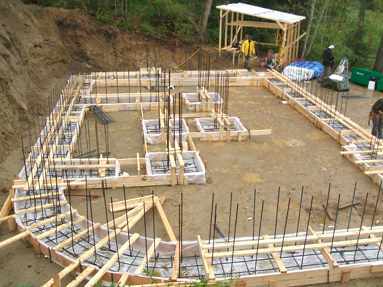 The rebar is in the footing and it’s all ready for the concrete pour. 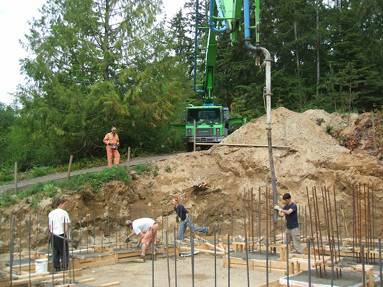 Pouring concrete using the boom pump. 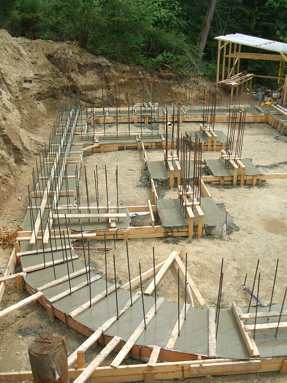 Rudy is using a screed to level the concrete. 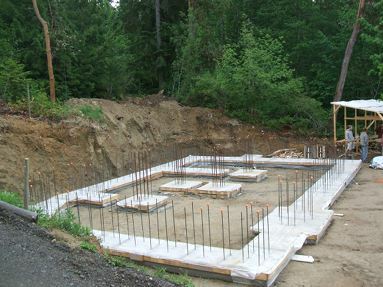 Our day of pouring concrete is finished. The forms are cleaned and everything is tidy. 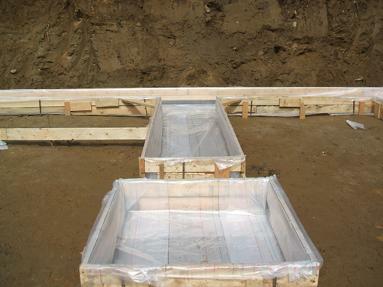 The footings are done and ready for layout of the walls.